If you haven’t heard, Analogue TV services in Singapore have ceased since the start of 2019. This means that all free-to-air Mediacorp channels in Singapore are now only broadcasting digitally. To be exact, this new standard that will be used in Singapore is known as DVB-T2, which stands for Digital Video Broadcasting – Second Generation Terrestrial. If your existing TV is only built with an analogue tuner, you would not be able to tune in to any free-to-air Mediacorp channels. 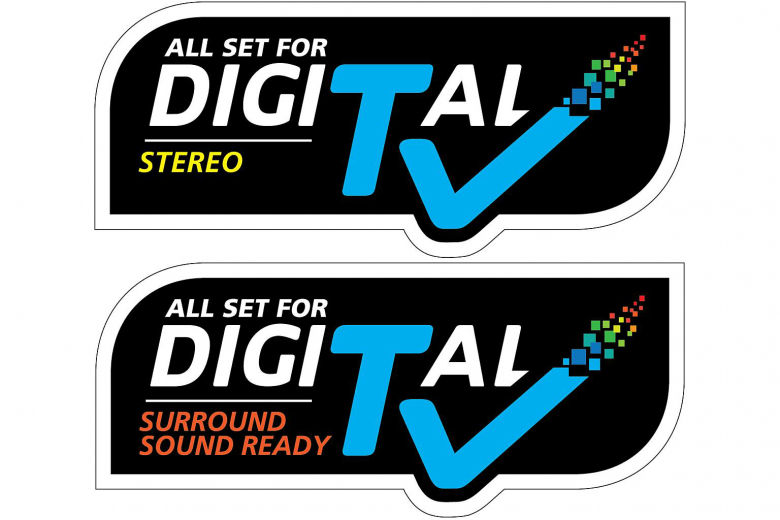 You can check if your current TV is digital-ready by looking for this sticker. Alternatively, you may be subscribed to TV services from providers such as Singtel or Starhub. In this case, you would still be able to access Mediacorp channels. However, if you choose to terminate those subscriptions, do check whether your TV is digital-ready first. If your existing TV does not come with a digital tuner, you may take this chance to upgrade to a new TV. Not only will it come with a built-in digital tuner, it might also support new applications that allow you to stream internet video content. 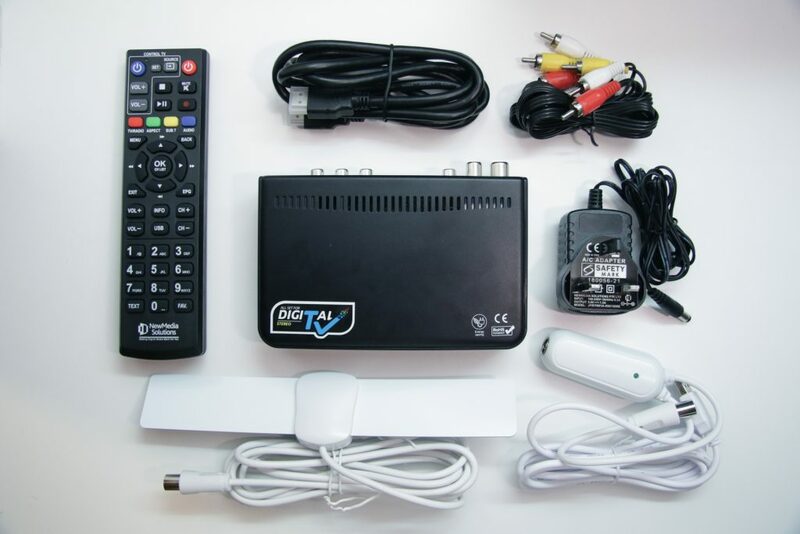 A more cost-effective solution would be to obtain a separate Digital TV Set-top box with DVB-T2. It acts as an external digital tuner that receives the free-to-air Mediacorp channels and outputs a HDMI or AV connection that your existing TV can already receive. In this article, we will try our best to help you solve some of the common problems that you may face when using the new Digital TV Set-top box. If your TV box is able to power on, but the TV shows ‘No Signal’ or simply a blank, fuzzy screen. 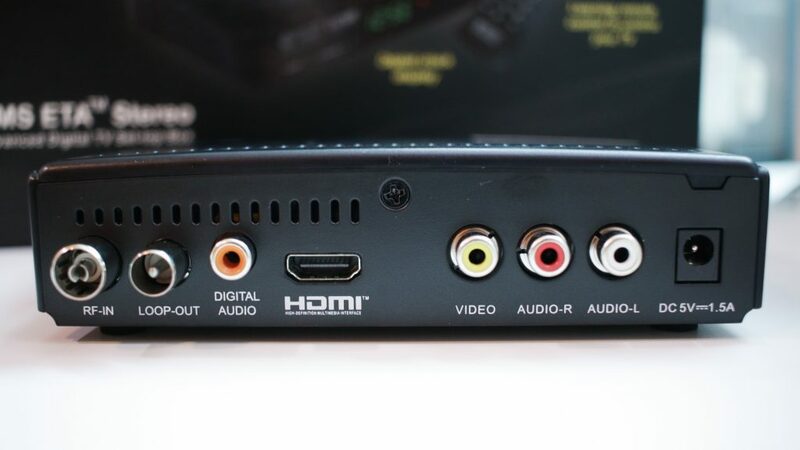 If your television has multiple HDMI ports, you might need to switch to the HDMI input the set-top box is connected to. If you can access the set-top box menu, you are on the right HDMI input. Keep in mind that the digital set-top box is now receiving the digital signals on behalf of your TV. You should only change channels using the set-top box remote control instead of your TV remote control. As such, it may have been possible that the input source has been accidentally changed to ‘TV’ – which is incorrect. If you have ensured that the TV is set to the correct input source, give the cable and port a check. The HDMI port/cable may have gotten dirty or worn out. The digital set-top box will still require an antenna to receive digital signals. The location and design of each household will differ slightly. As such, finding the best position to place your antenna may take some trial and error. Ensure that the antenna is plugged in tightly to the set-top box. Try re-adjusting the antenna to find an optimal position. Place the antenna vertically and near a window or door. Strive to place the antenna above human height and away from other electrical devices including Wi-Fi routers, TVs, and audio amplifiers. If you are unable to change channels on the set-top box or access the set-top box menu. It may be a natural response to point the remote control towards the TV. As the digital set-top box now controls the channels, remember to point the remote control directly towards the set-top box. One of NMS’s key feature is their learning remote control – which allows you to use one remote to control both your TV and the set-top box. However, you would need to pair the remotes before it can control your TV. Do note this function allows you to control the TV Power, Volume and Channels only. This usually means that the target USB device is not suited for recording. It is recommended to use a USB hard disk to make recordings. 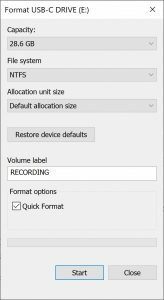 Try formatting the USB device to the NTFS format. This can easily be done through a Windows computer. Plug in the USB device and head over to ‘My Computer‘. Right click on the USB disk and select Format. Ensure that File System is set to NTFS. If you are still experiencing issues with your digital set-top box, feel free to contact us via our email: contact@techlingo.sg. Alternatively, you may also reach out to New Media Solutions at this email: support@nms.com.sg or phone: 67021180.